Our own Veggie Hero Dr. Amy Joy Lanou has an excellent guest editorial in the Houston Chronicle today. Dr. Lanou, who served as an expert witness in the recent court case involving vegan parents who had undernourished their child, expounds on a healthy diet for children. I love frozen treats during the summer but don't always want a fake non-dairy frozen ice cream-like dessert. 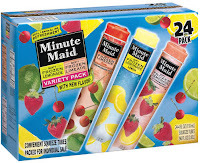 This weekend as I was scanning the freezer case at my local grocery store, I discovered Minute Maid Soft Frozen Lemonade. I bought two boxes, which contained four flavors: lemonade, limeade, raspberry lemonade and cherry limeade. All four are vegan but aren't exactly health food -- they are mostly sugar and contain high-fructose corn syrup. 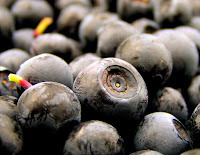 Still, each contained only 70 calories and at least 10 percent fruit juice. I was blown away when I tried these frosty treats. They are delicoius! Creamy -- not icy -- with rich citrus flavor. Each comes in a push up container, so no spoon is required to eat them. I sat on my back deck in the sun slurping one up and it felt like summer. Be sure to check these out. They are great! It's getting hotter outside and these smoothies are tasting pretty good! Today's featured smoothie was inspired by the "Swamp Thing" smoothie at an old-school health food store in Charleston named "Books, Herbs and Spices." In its heyday in the early 1990s before health food hit the main stream, this little shop was a local hangout for those who sought better health. And their Swamp Thing smoothie was one of the most popular items on the cafe menu. It's still one of my favorites. Add all ingredients into a blender. Puree until smooth. Serves two. My husband says that this smoothie tastes like a classic old-school smoothie -- whatever that means! I just think it tastes good. I hope you will, too. Be sure to let me know if you've tried any of the flavors I've posted so far and what you think of them. Warning: New Doritos Aren't Vegetarian! I love crunchy snacks and fall into a bag of Doritos every now and then. 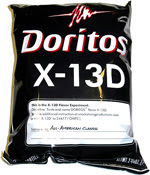 I picked up the new mystery flavor "X-13D" today and discovered that not only are they not vegan, they are not vegetarian! The new flavor is supposed to resemble a classic cookout burger and have beef flavoring and beef tallow (i.e. fat). YUCK! Steer clear of these nasty snacks. The sweetheart smoothie is probably my favorite. 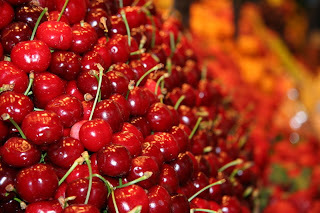 It taste like a chocolate-covered cherry. YUMMY!! My husband agreed. He gave it the highest rating, five stars! 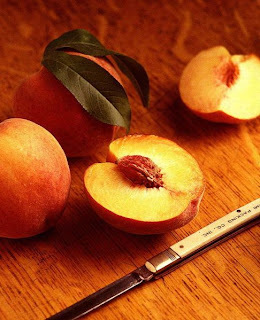 Peaches are the true taste of summer and this smoothie showcases them in a really delicious way! I thought you might be interested in the Human Society of the United States' campaign to stop Amazon.com's sales of illegal animal fighting materials. Amazon sells both cockfighting magazines and bloody, graphic dogfighting DVDs. The company is so determined to continue selling these materials that it filed a motion against the HSUS in federal court, essentially asking that federal and state laws to protect animals be gutted to accommodate Amazon's sales of animal fighting paraphernalia. Please ask Amazon to remove these materials from its website. 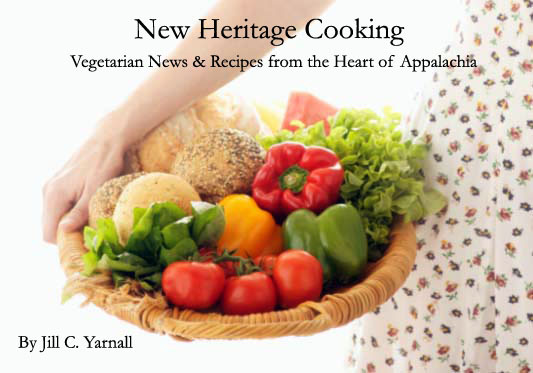 When hot weather hits, most of us hate to think about cooking, but of course we still need to nourish ourselves and our families with delicious food. One easy answer is smoothies. These thick, refreshing drinks make a great breakfast, after day camp snack, or before bed treat. Even grownups love to drink them when heading out the door for a busy day. I've decided to share some of my favorite innovations. I asked my sweet husband to grade them on a scale of 1-5 stars, with 5 being the highest score. I hope you'll try a few out this summer. A yummy concoction honoring the King's favorite sandwich combo: peanut butter and banana. 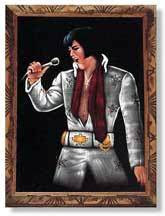 And because it is dark in color, it reminds me of a velvet Elvis painting!